Hi. How was your week? It's been a good week here; pretty uneventful, which is how I like it. Birthdays are over and it's back to normalcy, so I managed to get a couple of layouts out and complete a cake order for Friday. 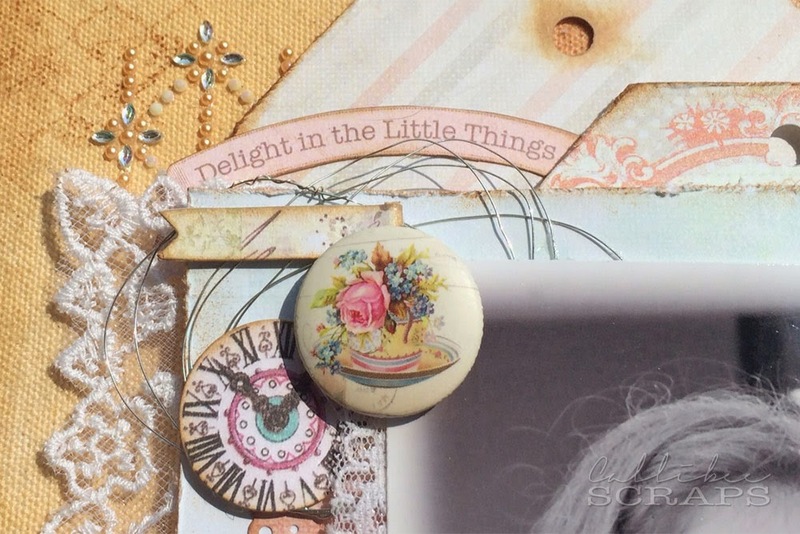 Here's the first one that is based off a Prima layout by Cari Fennell. She did this for a live Prima ustream tutorial, and I wanted to do something similar. 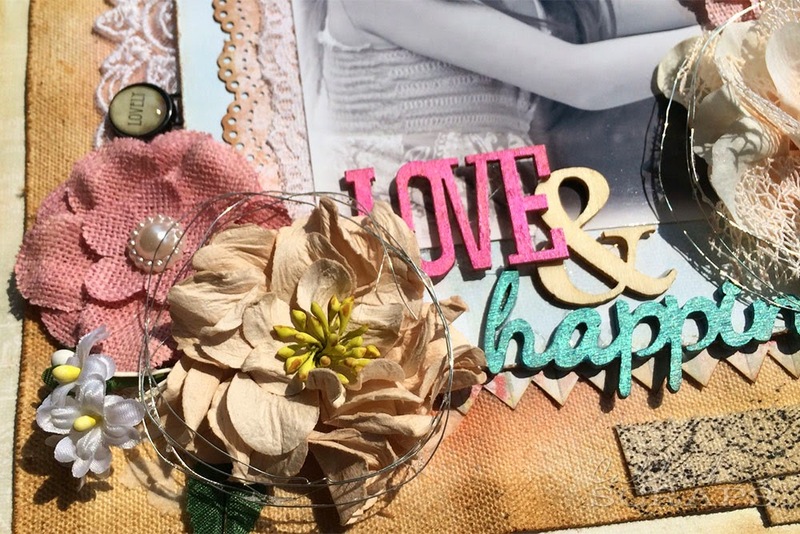 Whether you work off a sketch or scraplift off another layout, they both serve the same purpose; providing inspiration and ideas. 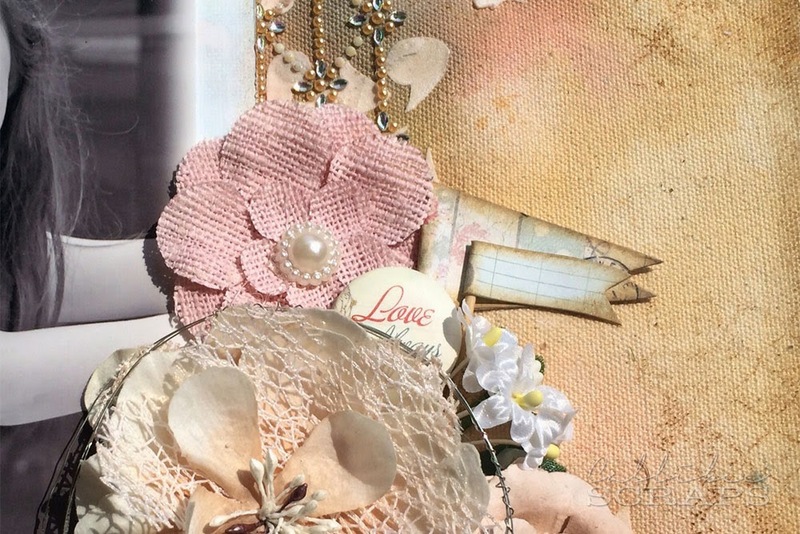 I love the soft colours in this layout, with the pale pinks and hints of pastel blues. I used raw canvas instead of burlap for my backing material. The funny thing was, I didn't have a photo for this layout when I started. It was only after I was almost done with it, did I hunt for a photo to add to the page. I sprayed the raw canvas with some muted pinks and blue, drying it, before adding the molding paste over a mask. After that, I edged it with distress ink and also used a pattern stamp randomly around the page. I wound jewelry wire around a cylinder before securing it around the accent flower with good glue. I coloured the wooden words with distress paints. I attached toothpicks to the banner stickers before placing them behind the flowers. 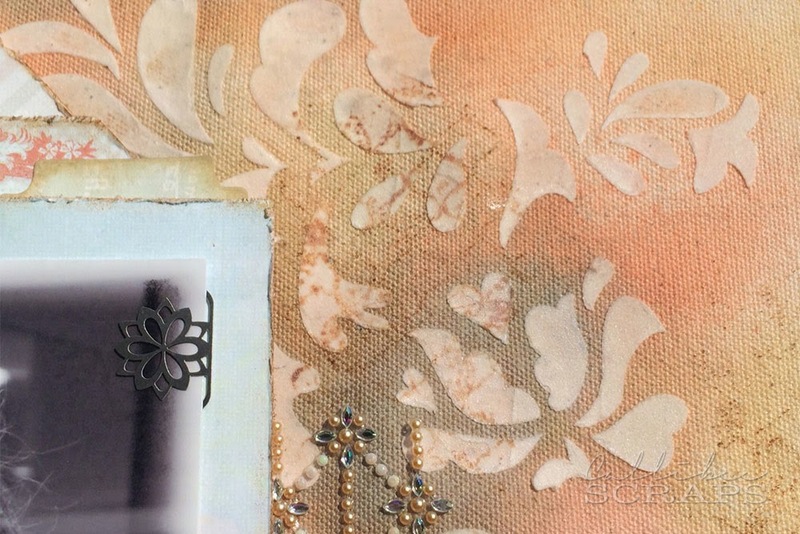 I placed some lace borders on the left and some hand made tags above the photo. I love the crystal and pearl decorative border.